Good deal. Drive them crazy. For Pelosi that's not a long trip. Still, the Senate has to pass it. Which one did Trump say he had the votes already...House or Senate? It’ll pass, Trump already claims to have the votes. The house was the biggest worry. I thought it was the other way around when he was debating Nancy Pillhoe and Chuck Shitter, "In-public", (oh, the horror) this past week. Said the house was pointless because he needed 10 Senators. Or was a dreaming? I think he will get a negotiated amount. Might not be the $5 billion but probably $2.5 billion and will get the 60 votes. “Art of the deal”. "Trump lied. Where is the wall?" "Impeach Trump"
Trump is the most honest President we have ever had. He is the only President who does what he says. No worries Dems, another Obama will soon come along to redraw the red lines every time they get crossed. 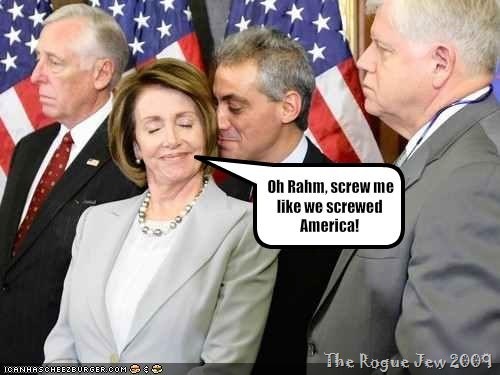 Pelosi should get into the movies. She will make an awesome Wicked Witch in the Wizard of Oz. Snow White and the Seven Dwarfs too. Wasn't Mexico supposed to pay for it? They will. In the form of lost remittances from the US of A. The total amount in remittances sent home by illegals in the US is like the second source of 'imports' for Mexico. And renegotiated NAFTA, seized bank accounts of drug lords, etc. it all goes through central. Even if Mexico sent a check to the USA for the wall, Congress would still have to appropriate the spending on wall construction. Just another example of a Trump lie? What about "I cannot tell a lie" Washington or honest Abe? 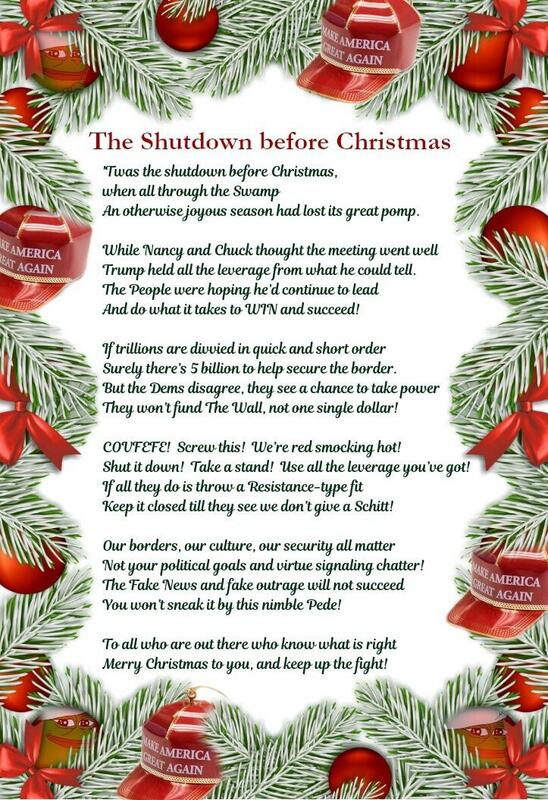 Those who think our president is going to back down are clueless. The go fund me for building a wall raised $18 million in just 11 days. This is not going to stop. 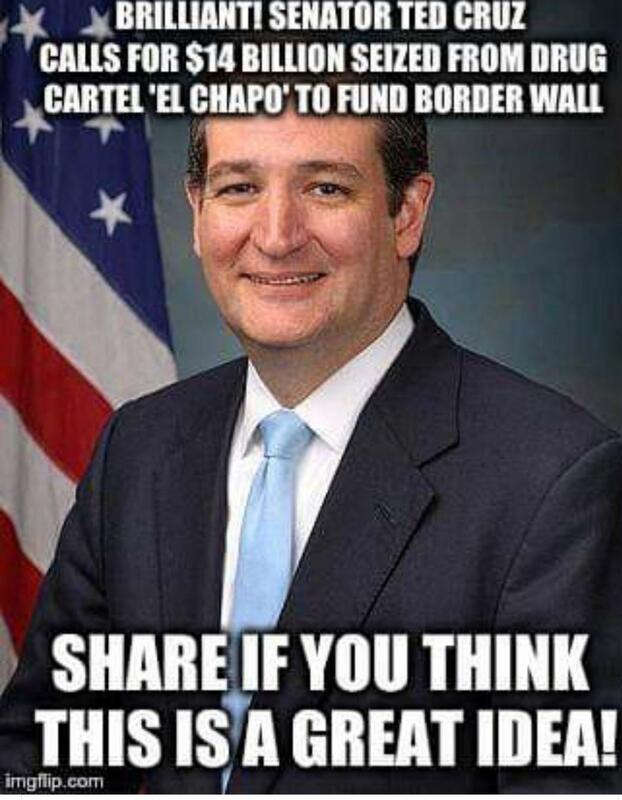 Ted Cruz's idea is also a good one. Pelosi and her ilk are in a panic; but they are dumb not to read the polls. Trump does and he knows Americans don't like illegal alien invaders. Where's the Senate vote to fund the wall? They are in charge & so bipartisan. Keep that rithmatic off patnet.